Erin Strickland, a graduate and double major from William Woods University, received a dual major in Athletic Training and Exercise Science. Erin previously worked as a student athletic trainer for William Woods Athletics and the Westminster College football team where she promoted health and well-being of student athletes by providing proper rehabilitation for injuries. She worked 200+ clinical hours each semester and aided teams at home and away games. She enjoyed creating rehabilitation programs for injured athletes and getting to communicate with staff, team, doctors, and William Woods and Westminster medical staff. Erin previously worked for the Sam B. Cook Healthplex as a training and rehabilitation intern. She created workout plans for clients of all ages and backgrounds while encouraging good health and instructing water aerobics. 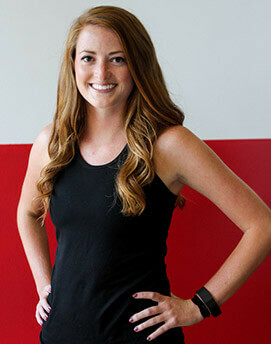 Erin is a Certified Athletic Trainer and Licensed by the state of Tennessee. Her accolades and accomplishments combined with her personality enthusiasm for fitness makes her a perfect fit for the Chadwick’s Fitness rehab department. 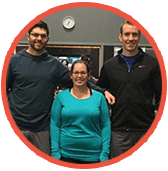 She has a wide knowledge and understanding of injury prevention, rehabilitation, and functional exercises for daily living. Erin’s love for face-to-face interaction and her passion for health and fitness help drive her to create a personal bond with each and every client she works with.